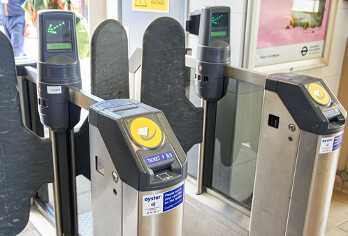 Labour has said it wants to see a system of contactless payment using smartcards and mobile phones across the rail network. It follows the launch of a Government consultation on extending pay-as-you-go rail travel to the South East of England beyond London and a delay to the rail industry’s review of ticketing. Speaking at the Transport for the North conference in Sheffield on Monday (11 February), shadow transport secretary Andy McDonald said: ‘The Government and the rail industry’s unambitious plans for ticketing and cannot restore public faith in the system. The current adversarial and unco-operative rail structure can possibly deliver the fare reform we need. ‘Under our plans for public ownership of rail there will be an opportunity to sort out the mess of rail fares and ticketing. And that will give a chance for transformation at both the regional and local level. The Department for Transport (DfT) has published a consultation document on the feasibility of delivering pay-as-you-go ‘to an expanded area across the south-east of England’, i.e. beyond London’s Oyster system (pictured). Inside this area, ‘passengers would be able to travel seamlessly between all rail services in the area and on the Transport for London (TfL) network, all using the same PAYG scheme’.